Hello everybody, meetin us again in AllIndonesiaTourism.com to talk about the richness of Indonesian attractions. This time, we want to uncover part of Bali island again. 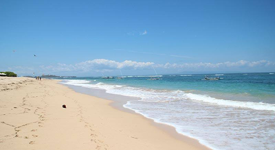 Beside finding the attractive things to do in Seminyak Bali, there’s one beach in Bali that is very iconic and famous. What is it? It’s the Pandawa Beach, place for everyone. This beach is absolutely beautiful thing that you can find in Bali, perfectly suitable for family holiday or even student trip. Aside from things to do in Lake Batur Bali, Pandawa Beach surprisingly has interesting places that located around it. 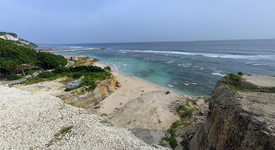 So, we have this list of things to do in Pandawa Beach Bali Indonesia to guide you find them all. Let’s check the first one. Aside from things to do in Batur, we’ll explore the first area on the list. We want to talk about the Pandawa beach first. 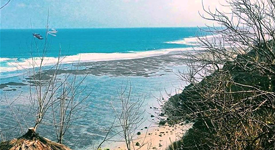 As you may know already, this beach is included as one of the best beaches in Bali with its one of a kinds view. At first, you’ll be greeted with some kind of mineral hills on the top. Abandoned plane or abandoned aircraft is the name of our next attraction. Located in the middle of Kutuh area, this abandoned plane fastly attract more and more tourists each day. Most of them come here to fulfill their curiosity about the plane itself. And the rest, want to take some selfies with it because of the pictures they’ve seen on internet. There’s some speculations about this place, that some day, this plane will turn into a unique restaurant. But the project is still unknown. Tips : Don’t forget to bring your camera here, also bring your snacks. Walking a little bit further from the attraction before, you’ll arive at the Gunung Payung Temple. At least, that was its name before. Now the name is a little bit different from that. They changed it to the Gunung Payung cultural park. Usually, this place is used for so many events, including the celebration party or school anniversary party. This place can provide the better view of the events because of the architecture of the building. It has this kind of theatrical form, that surrounded by seats and focusing to the center. You only need to pay the parking ticket only to enter this place. Tips : Watching sunset from here wouldn’t be a bad idea. Walking down the stairs, may of them, you can see the Gunung Payung beach that located below the cultural park. In here, the place is basically filled with the green vegetations. That is the proof that this beach is very much virgin. Not many people know about this place, that’s why it less famous than the other beaches around Kutuh area like Pandawa or Green Bowl. But, for the people who love this quietness, Gunung Payung Beach can fulfill their expectations. Tips : The wave in here is a bit big, so kids are not safe to swim in here. 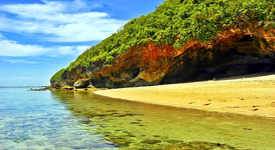 Next attraction is The Green Bowl Beach, which looks beautiful as things to do in Hanging Gardens of Bali. This one is pretty famous, so many people either the domestic or foreign tourists would like to spend their day in here. Interestingly enough, this beach has three different names. First one is Green Bowl, Bali Cliff, and then Batu Pageh. The last name was given by the the locals who live around that place. If you explore the attraction caefully, you could find the cave in here, that is also being the point of interest in here. For the entrance ticket, the visitors need to pay for about Rp5.000,-. Tips : Visit it during day if you want to visit the cave too. Many people say that this Melasti Beach is actually the twin of Pandawa beach because of its characteristics. It’s clean and also surrounded by the cliff, just like Pandawa. But, the difference is this beach is less crowded. The reasons is, because this beach is newly opened. And it’s somewhat unfinished. 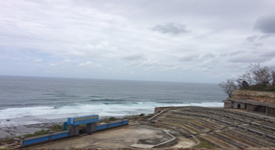 Because of the development that still in process, there are not enough supporting facilities. But people can enjoy this beach still, especially because of its free entrance ticket and also parking ticket. And for the seventh location which looks as beautiful as hidden places to stay in Bali, we have this Sawangan beach. This beach is also known as Nikko beach. The interesting points about this beach is the quiet situation and also the natural ecosystem that still looks beautiful today. Many people also love the soft white sand it has, that is safe for kids playing there. But, even though it looks wonderful, this beach is only gaining few visitors, maybe because of lack promotion. Because of that, the entrance ticket is also very cheap, about Rp2.000,- for parking ticket. 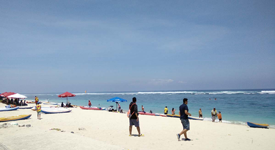 So that’s the list of things to do in Pandawa Beach bali Indonesia for you today. As you can see, Pandawa beach is not standing alone. Around it, if you see carefully enough, you may notice some of the best places that located around the area of Kutuh, where this beach exists. There are so many beaches around here that also look wonderful. 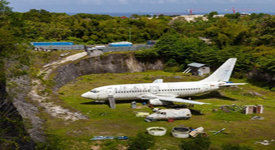 And a unique place like the abandoned plane, is of course worth visiting. A plane parking in the middle of nowhere is something that you can not see everyday.